#NoShaveNovember is well underway for the crew members of Murfreesboro Fire Rescue's District 1 (B-Shift)! 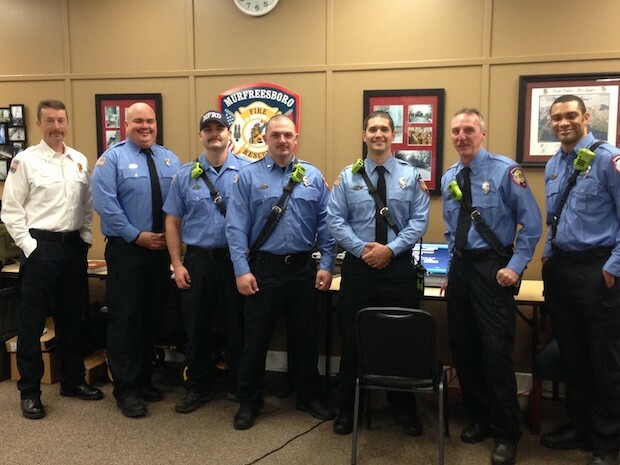 The firefighters pose for a photo to show off their stubble! Pictured are (L to R): Captain Blake Insell, Firefighter Robert Gingrow, Firefighter Kernie Cothran, Engineer Wesley Slager, Engineer Andy Smithson, Firefighter Marc Cartwright, and Firefighter Frank Camejo.